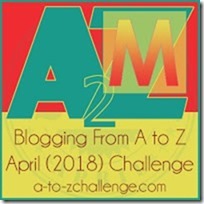 Travel Movies That Inspire Wanderlust #AtoZChallenge - A Rose Is A Rose Is A Rose! Movies are not just a source of entertainment; they help in a subtle way, to consider ideas we may not have considered otherwise. There are so many movies that showcase the beauty of a place and inspire us to get off the couch, pack our bags and head to that very land, all while telling a captivating story. 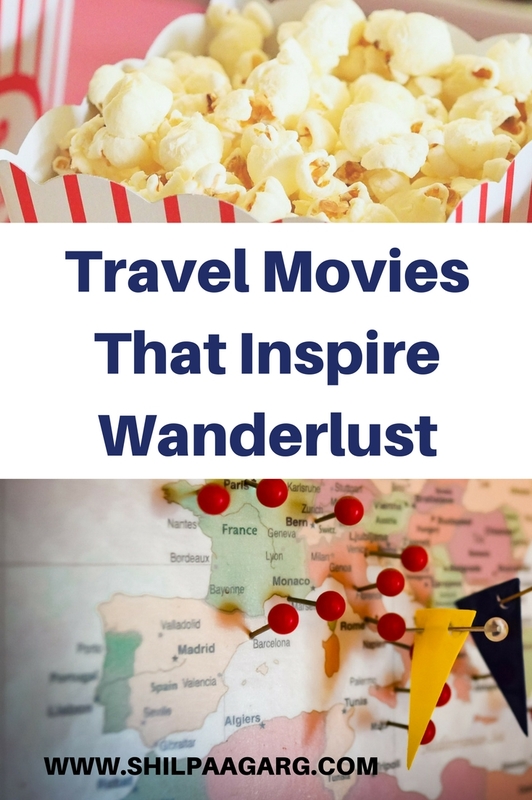 If you are looking for inspiration to spark your wanderlust, here are some 10 amazing travel movies of all time. Into the Wild (Adventure – 2007) – Into the Wild is the true story of Christopher McCandless, a college graduate who gives away his life savings and hitchhikes to Alaska. Along the way, he encounters a series of characters that shape his life. In Alaska, he heads out into the wilderness to live on his own. His life is filled with random adventures and experiences while he makes his way up to “The Last Frontier”. Under The Tuscan Sun (Comedy – 2003) – The film is about Frances Mayes, a 35-year-old San Francisco writer whose perfect life has just taken an unexpected detour. Her recent divorce has left her with terminal writer’s block and extremely depressed. Her best friend, Patti, is beginning to think she might never recover. Frances decides to take a break and she buys a villa in the beautiful Tuscan countryside and decides to begin anew. Restoring her new home, she eventually finds the fulfillment she was searching for, including love. Eat Pray Love (Romance – 2010) – A married woman realizes how unhappy her marriage really is, and that her life needs to go in a different direction. After a painful divorce, she takes off on a round-the-world journey to “find herself”. Film locations included New York in the USA, Naples and Rome in Italy, and Delhi and Pataudi in India, as well as Padang Padang Beach and Ubud in Indonesia. Zindagi Na Milegi Dobara (Comedy Drama 2011) – Three friends, Friends Kabir, Imran and Arjun take a vacation in Spain before Kabir’s marriage. The trip turns into an opportunity to mend fences, heal wounds, fall in love with life and combat their worst fears. Queen (Comedy Drama 2014) – Rani, a 24-year-old homely girl, decides to go on her honeymoon alone when her fiance calls off their wedding. Travelling around Europe on her maiden solo trip, she finds joy, makes friends and gains new perspective about living life on her own terms. The Secret Life of Walter Mitty (Adventure 2013) – When his job along with that of his co-worker are threatened, Walter takes action in the real world embarking on a global journey that turns into an adventure more extraordinary than anything he could have ever imagined. Wild (Adventure 2014) – A chronicle of one woman’s 1,100-mile solo hike undertaken as a way to recover from a recent personal tragedy. Cheryl Strayed, a writer crosses the dusty Mojave, crazy forests, snowy fields, and muddy trails, losing toenails but gaining mental clarity—or at least self-acceptance—along the way. Up in the Air (Drama 2009) – Ryan Bingham is truly living the high life. Flying all over the world on business, he never stops moving… until he meets Alex, a fellow passenger and learns that life isn’t about the journey, but the connections we make along the way. The Darjeeling Limited (Adventure, Comedy, Drama 2007) – After the death of their father, three brothers set out on a train journey across India, in an attempt to rediscover their lost bond. The experiences that they have force them to introspect. The Bucket List (Comedy, Drama 2007) – Two terminally ill men decide to explore life and make a bucket list comprising all the things they haven’t tried before. On their around-the-world vacation, they go skydiving, drive a Shelby Mustang, fly over the North Pole, eat dinner at Chevre d’or in France, visit and praise the beauty and history of Taj Mahal, India, ride motorcycles on the Great Wall of China, attend a lion safari in Tanzania, and visit the base of Mt. Everest in Nepal. Which of these movies have you seen? Which are your favorite travel movies? 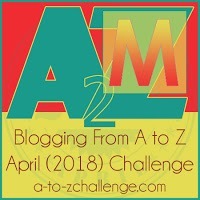 My theme for this year’s Blogging from A to Z April Challenge is Notes from the Road, which has my thoughts, views, experiences, tips, stories inspired by my years on the road. I have seen Queen, Zindagi Na Milegi Dobara, Eat Pray Love and The Bucket List. All my favourites especially Queen & ZNMD. I was watching The Darjeeling Limited but didn’t like so didn’t finish. I seldom watch TV and these days, not at all! but Will watch others if I find them on TV. All the movies that you have watched are amazing travel movies. I can never get tired of watching some of these. Hope you get to watch the others too, Tarang! Sadly I haven’t seen any of those. But I’m thinking Bucket List is one to check out this weekend 🙂 Great suggestions! Bucket List is a wonderful movie about friendships and living life to the fullest. Hope you get to watch it, Stephanie! I’ve seen Bucket list and Under the Tuscan Sun…one of the reasons I enjoy movies is for this very reason, armchair travelling. I will watch the trailer links Shilpa, thank you for providing them! I would like to add The Art of Travel to this movie list, I enjoyed this movie. Thanks for sharing about The Art of Travel, SG, will check it out! This post just reminded me that I haven’t seen “Wild” yet! I haven’t seen any of this, I’ll have to check them out. Out of the list i have only watch ZNMD, Queen and Eat, Pray Love. This list is amazing. I need to watch these movies…. I dont know how many times I have watched ZNMD and Queen. EPL is twice though. These are really amazing travel movies and showcase some amazing locales. Great list, Shilpa! Eat, Pray, Love is one of my favorites! Love the creativity of your posts on this theme! Thanks, glad you are enjoying the posts here! Barring two I have seen all of them and I thin k my favourites are The wild and Eat, Pray, Love – both have such flawed characters who are seriously in need of help and then undertake something so out of their comfort zone that its stayed with me till date. I can watch these two movies countless number of times and love them each time! Well said, Shalini. Travel truly transformed these characters and helped them find themselves in the process. These are some really inspiring movies. I have watched 5 movies, not bad! Under the Tuscan sun is what I am going to watch next, love the title and I am a sucker for Tuscany. Yes, Tuscany is a hot fav in our home too, we love cooking and experimenting Tuscany food, thanks to The Complete Illustrated Tuscan Cookery Book! I was waiting for this post on your blog. Thankfully, other than ‘Under the Tuscan Sun’ I have watched all of them. Recently I watched a movie called ‘Paris can Wait’ and I loved that one as well. Paris Can Wait sounds interesting! Have not heard of it, will check it out! Thank you, Balaka, you are a sweetie! Quite a list Shilpa and I admit watching a couple of them at least in repeat mode. This is a real cute stand out post in your series, loved it! This is such a nice compilation. Loved the list and your writeup. 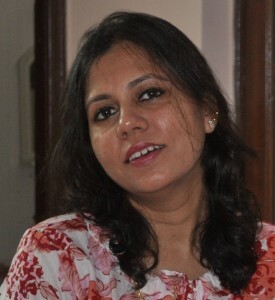 I love this post , Shilpa! All wonderful movies you have listed above. I have yet to see “The secret life of Walter Mitty” and “The Darjeeling Limited”. And my most favorite among the rest is our very own “Queen”. It is an absolute gem of a movie. I can watch it any number of times. Surprisingly, quite a lot here that I’ve missed. Up in the air, darjeeling express, under the tuscan sun. Happy watching and happy armchair-traveling, Roshan! I’m afraid you have listed two of my favourites: “Wild” and “Into the Wild”. I’ve seen a couple more of the titles in your list. I have read ‘Into the Wild’ and watched it too. It’s truly fascinating. Will check out “Into Thin Air: Death on Everest” Thanks for the recommendation, Eva! I have to admit I’ve only seen one of these! The Bucket List. I’m told I have a very odd taste in movies! Crime! My current favourite is a movie about the Kray Twins in London called Legend. But I also like Mamma Mia! Ah! I love crime / thrillers too. I need to check Legend. I love travel sagas. That’s a great list. Having travelled down south and Far East recently, I realize that unlike social media, travel makes you look at life in a positive way. So many beautiful experiences, such lovely people and amazing diversity. Well said. Travel is not only good for the soul but for the mind and the body too and if you cut yourself off from the social media. it’s simply fabulous. Thanks for dropping by and sharing your thoughts, Alka! Queen and ZNMD are great Indian travel movies. Hope you get to watch other travel movies too, Genevive! I haven’t see so many of them. This post needs to be bookmarked and the movies watched over the summer vacations. Please do watch these, and I am sure, you will love them, Tulika! That’s a good list. I’m mostly inspired by nature travel adventures (Alaska is good). Not so much by the glory of man. Good list here! I’ve only watched half the list and I’m listing down the other half to watch as soon as I can. Thank you for sharing this, Shilpa. Happy watching, Soumya, hope you enjoy all of them! I have not seen a single one of those movies. I did read Into the Wild, the book, though, so maybe I get 1/2 credit or something. Thanks for the great list of movies! I will add them to my queue! Have agreat time watching these movies, Emily! I don’t think I’ve seen any of these movies, but it’s funny because I just finished a project about an on-location lot in Arizona where celebrities used to stay while filming. There’s not much left of the area that harkens back to those days, and it’s too bad because I think more would go there if they knew it was so close to home. Didn’t know of many mentioned here.. eat, pray, love has been in my list from long now. Have to watch it. Seen only ZNMD,Queen and The Bucket List. I so hope I watch these soon. Hope you get to watch these travel movies, Rashi. Thanks for dropping by! Interesting topic and we’ll compiled list. I still have a few movies from this list that I need to catch up on. Love “Under The Tusacan Sun” and “Into The Wild” … i also love a world cinema call “In June” set in the colorful Romania. I’ve seen The Bucket List and Under the Tuscan Sun. I never saw the movie version of Eat Pray Love, but I read the book. All of the movies look good, and your descriptions make them even more enticing. Loved the post. Into the Wild , ZNMD, Queen my favorite.